Sunny. High 84F. Winds NE at 5 to 10 mph..
Clear skies. Low 56F. Winds ENE at 5 to 10 mph. Caleb Fillingim looks across the diamond with first-base coach Monty McLeod for a sign from head coach Mike Klossner. Fillingim had just singled in the final two runs in the four-run first inning. DeSoto sophomore Logan Adams drew three walks in the 7-6 loss to Hardee. First baseman Bueford Patton fires to home after retiring the runner. If you think this story is the same one you read last week in the Arcadian, you are close but incorrect. It is amazingly eerie how the 9-6 win over Gateway Charter and the 7-6 loss to Hardee were so similar. Both games saw the Bulldogs jump out to a 4-0 lead after the first, but let the opponent scratch out a couple of runs every inning and finally take the lead. Both games saw the Bulldogs trail 6-5 after four. In both contests the Bulldogs scored in the fifth to tie the game at six apiece. In the Gateway game the Bulldogs mounted a rally and took home a well-played 9-6 win. Against the Wildcats, the story was a little different ... as it was Hardee that scored and held onto the lead for a hard-fought 7-6 win. Last week it was pointed out that if the leadoff man gets on base, usually he scores. Against Hardee, EVERY time the leadoff man for either team got on base, he scored. In the innings that were scoreless, the first man up got out. It again shows the importance of getting that first man out, then you are only a double-play ball away from getting out of the inning. Jade Zepeda led off the game with a double down the line to left and Danny Shea beat out an infield single that traveled about six feet in front of the plate. Starting pitcher Braden Steele singled in Zepeda. Trent Jones ran for Steele. Cody Burton singled in Shea and both Jones and Burton scored on Caleb Fillingim’s two-out single. Hardee countered with a run in the second when an infield error put their leadoff man on second. DeSoto answered in the bottom of the second to maintain their four-run cushion. Garrett Leath singled to start the inning and after the next two hitters were retired, Logan Adams drew the first of his three free passes in the game. Steele again singled and scored Leath. Hardee scored four times in the third to tie the game and took the lead with a single run in the fourth. Hardee brought in their ace hurler and closed the door on the Bulldogs the rest of the way. The Bulldogs struck out three times in the first four innings but fanned six times in the final three. The Wildcat relief pitcher was firing up BBs and struck out the side in the fifth. 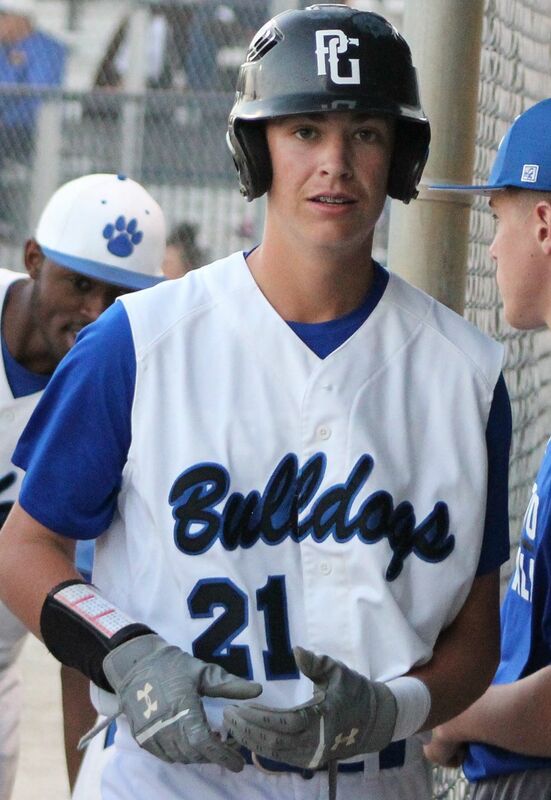 Steele collected two of the seven Bulldog hits and drove in two. Fillingim also plated a pair of Bulldogs.